Home »General Life»Canon 7D Tips – What’s that sound? Last week was a crazy week! So many things crammed into those 7-days. But, there was one unexpected thing — finding out my Canon 7D had a problem. The Canon 7D is my 7th Canon camera. So, when I took it out of the box, I knew what to expect. However, when I turned it on, it made an odd sound. It reminded me of a micro-hard drive booting-up … even though the Canon 7D does not have one. Under more careful inspection, I realized that the “swish tweet” was triggered during the internal sensor cleaning process. 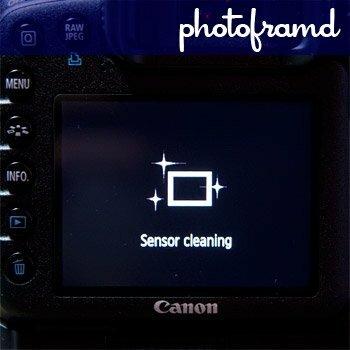 My 40D has a similar sensor cleaner but is completely quiet. I tested the camera and it seemed fine, but the question lingered. Last week, when I went to the 7D Class at B&H, I asked Canon Rep Rudy Winston about the sound. He said that the sensor cleaner is completely silent. I picked-up each of his three 7Ds and turned them on and off, watching for the sensor cleaning process. Each of his 7Ds was completely silent. I then gave him my camera, and he heard the sound. After repeating the process a few times, he was puzzled. Ultimately, he suggested that I return the camera since it could be the start of more serious problems. Thursday was the first day of PhotoPlus Expo. With a whole crew of Canon personnel attending, I could easily get a second, third and fourth opinion. I started with the EOS reps at the counter. After picking up a few of the 7Ds on display, I found each one to be silent with no tweets. I asked one rep and he agreed that it should be silent, but recommended that I check with Canon Professional Services (CPS) downstairs. This group of trained technician would know the definitive answer. They confirmed Rudy’s diagnosis — it should be silent and it could be the start of something worse. Return it! Now, I am very concerned. I have had my 7D for almost a month and I was not sure about Adorama’s return policy. Is there a restocking fee? Would they make me go through Canon for a repair?? But wait … Adorama is at the show too! I walked over to the Adorama booth and just happened to speak with Julio Figueroa, one of Adorama’s Pro Service Reps. He said, “Don’t worry … just bring it back.” Wow! They continues to surprise me. Adorama is a big store that acts like your neighborhood store. Every customer receives personalized service. It’s very refreshing. Nothing like the Disney-lines at some other NYC stores. Great blog; so pleased to read that Julio was able to help you out with this one.Don’t forget, you can always contact me directly if you ever need help with an order from Adorama Camera! I wish all stores appreciated its customers like Adorama! I will be back. I realize this is an old post, but new to me. I just received my 7D last night and noticed the noise. I called canon tech support this morning and I am told this is normal….they all do it, some people hear it, some people don’t. But I bet anyone will hear it when powering the camera on in a very quiet place. Well, after a year of use, I hear that sound periodically on my 2nd 7D. Try putting the camera through the Sensor Cleaning cycle on the second yellow wrench in the Menu. I just did the sensor clean from the menu and I’m getting the same noise. My Canon 7D has made an audible noise upon startup and sensor cleaning cycle since new. The sound is entirely compatible with noise made by an ultrasonic transducer (piezoelectric based)that is vibrating above audio freqencies but also creating lower frequency noises through harmonics that we can hear in a quite room. It is a brief series of short under half second pulses. I have always wondered if holding the camera lens down and viewfinder up when turning it on helps dislodge dust particles out of the CCD sensor. Or perhaps holding it in a shooting postion so the particles fall off the sensor but do not land on the back side of the lens. Well, I have had my Canon 7D for almost 2-years now. That sound seems louder once in a while but it has not affected its performance. My new 7d makes a grinding, motor-like sound when I pop up the flash. Is this normal? A motor does engage to pop the flash. It is more than just a spring release and will not pop if the camera is turned-off. The only way to be sure is to compare your 7D to another one. Go back to the store (or a dedicated camera store) and see if there is a working 7D floor model. The flash release button is on the left with a lightning bolt icon near the lens mount, but will not work in the Full-Auto (green box) mode nor the Creative-Auto (CA) mode. Just got the 5D Mark III and its making that squeak swish sound during auto sensor cleaning during OFF and ON process. Strangely, i have owned 2 7D’s and they never made such sound. Some say it’s normal, some say return it. How can it be normal if not all or most are not making such sound? Very good point! It’s an odd sound. The 7D was my first Canon to make that sound. The good news is after 3-years of active use, it has not affected the photo quality. Mine “tweets” as well. It isn’t very loud though and I have excellent hearing. I like it though because it lets me know that the sensor cleaning is on and working. Well, I see I’m not alone panicking about the noise. I thought that the sound was a nice little touch to indicate that cleaning is in action. The menu option “clean now” didn’t help. Could you describe the “clean manually” process please? By the way, thank you for the book, I’ve found it very informative, and I like it very much.